Buy Krig RAWR at The Stockholm International Comics Festival 2013! Buy Krig RAWR at The Stockholm International Comics Festival 2013! published on April 25, 2013 Read more posts by the author of Buy Krig RAWR at The Stockholm International Comics Festival 2013!, adminNo Comments on Buy Krig RAWR at The Stockholm International Comics Festival 2013! Hey dear readers! We are still around and the making of the third chapter is in full swing but this post is not about that. We just want to tell you all that you will be able to buy the first and second chapter (in english) of Krig RAWR during the Stockholm International Comics Festival 2013. This weekend! You will find Mirjam along side some friend at table F62 and F63. 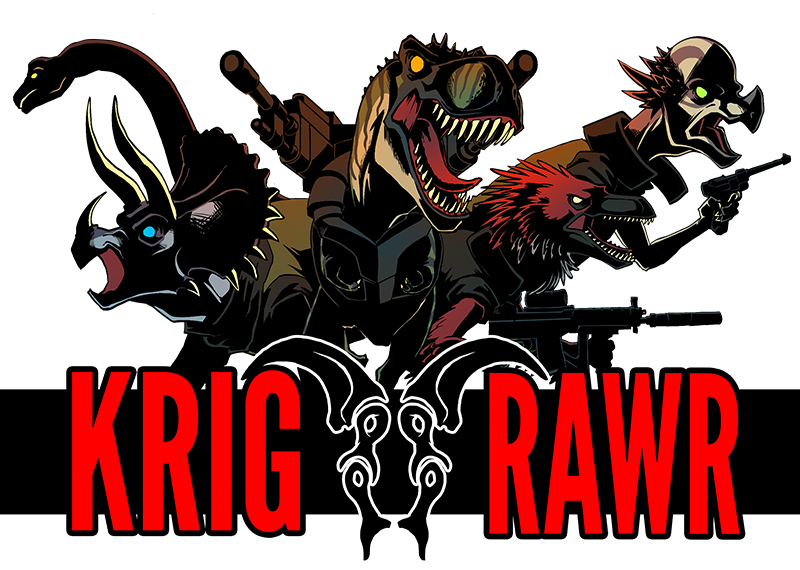 So if you rather want Krig RAWR in print, we highly recommend you buy it during the festival! Mirjam will also be selling some other fanzines and you can even pay her to sketch you as a dinosaur! Oh, and if you are really lucky… Their might be some dinosaur cookies left for you.